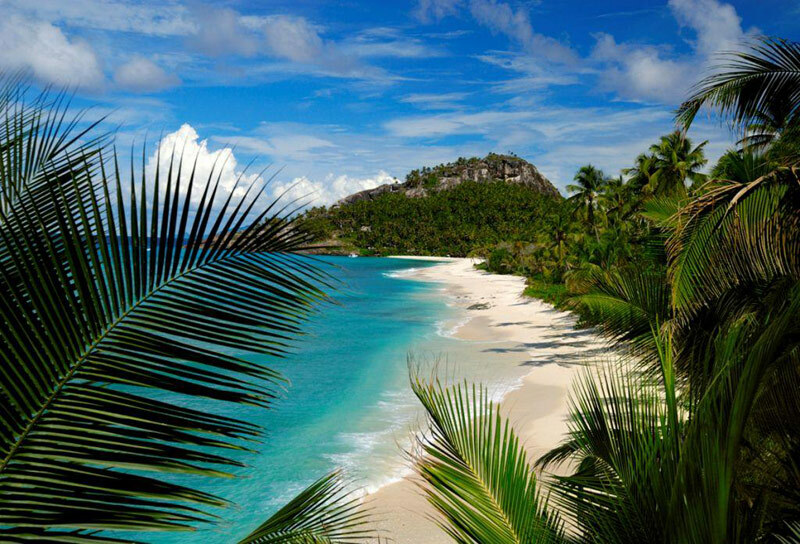 The beaches of the Seychelles Islands are famous for their immaculate white sands and warm gentle waters. Learn more about five of this archipelago’s most beautiful shorelines. The permanently sun-kissed Seychelles islands have no shortage of magnificent beaches; however, it can be overwhelming to pick the right ones to visit. This exotic warm-water paradise has something for everyone, whether they prefer to swim, sunbathe, snorkel or just go exploring. 1. Anse Major, on Mahé – This beach can only be accessed by boat or by foot, and it comprises the best of both worlds, being a mix of soft sand and rocky coastline. Sun worshipers will find the perfect spot to recline and relax, while spelunkers will enjoy endless opportunities to explore craggy nooks and crannies. 2. Anse Source d’Argent, on La Digue – Nestled inside a nature sanctuary, this beach is a true paradise and one of the most photographed coastlines in the world. Iconic, weather-worn granite boulders rise up out of azure blue waters and fine pale pink sand, making this one of the most beautiful Seychelles destinations. 3. Anse Lazio, on Praslin – Snorkelers will love this exquisite beach, with its reef-protected coves and abundant sea life. Those left on the shore will find countless opportunities to explore and photograph the towering granite formations that jut out into the crystal-clear water. 4. Bird Beach, on Bird Island – As the most northern and remote of the Seychelles Islands, this shoreline is the ideal home for the astounding variety of birdlife that lives here. The beach itself is expansive, and offers a sense of remote tranquility and endless expanses of cerulean Indian Ocean. 5. Intendance Beach, Mahé – This long stretch of coastline has no reef, which means that the swell reaches impressive heights. As a result, this beach is a surfers’ haven, and is more suited to catching a wave than having a swim. Interestingly, this is one of the new places in Seychelles where turtles still nest.